Thanks for expressing interest in early access! 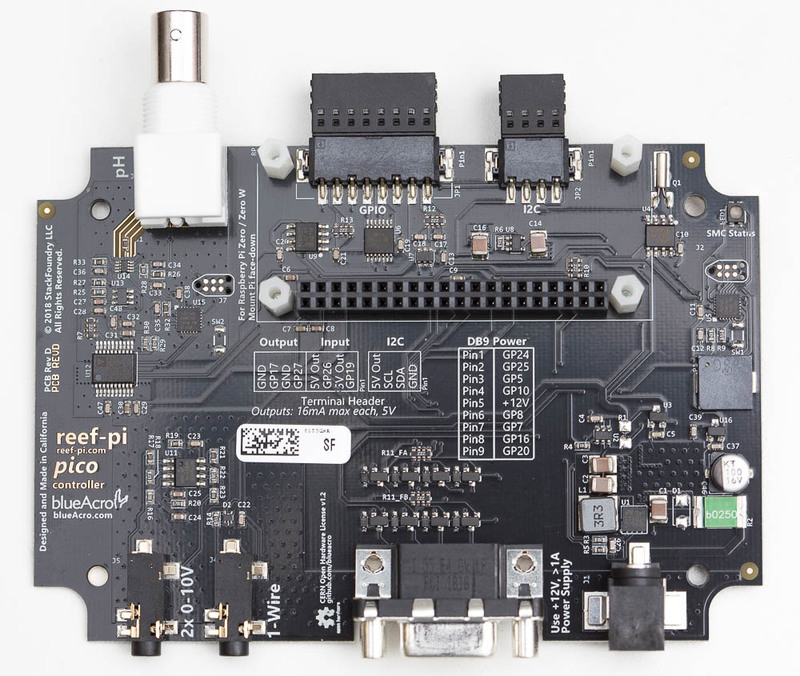 The Reef-Pi Pico is an all-in-one board designed for use with a Raspberry Pi and the Reef-Pi software for a truly open source aquarium controller solution. The Reef-Pi Pico is a board designed for a Raspberry Pi Zero or Raspberry Pi Zero W Linux single board computers. 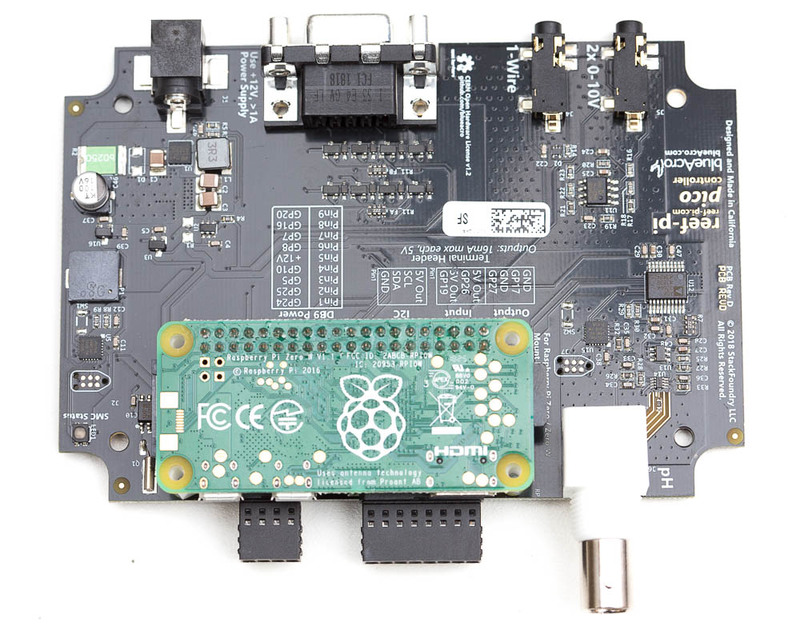 The beta units do not come with a Raspberry Pi Zero, in conjunction with the Reef-Pi software and Raspbian Linux distribution. It offers a number of ports and built-in hardware to simplify building an aquarium controller using Reef-Pi. ADJ SC-8 Relay Pack - This outlet strip connects using a DB-9 cable to the Reef-Pi Pico directly and has 8 switchable outlets. DB18B20 "Stainless" Steel Temperature Sensor - Use this for building a temperature sensor cable. You will also need a TRS connector and be comfortable soldering the sensor to the connector. Raspberry Pi Zero W - If you are not comfortable soldering a header to the Raspberry Pi, you can buy a variant with a pre-soldered pin header. Note that you do not need a Micro-USB power adapter, but do need a microSD card.